Isn’t it just the greatest when a food is both delicious AND simple?? This is the best of all those worlds. Easy. Simple. Fast. Delectable. Incredible. Delicious. Warm. Crunchy. Cheesy. Flavorful. Awesome. 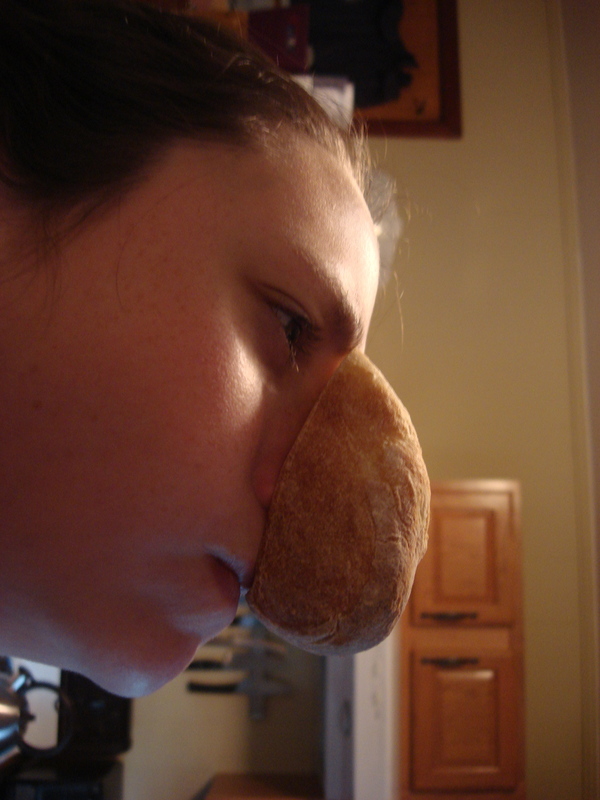 Preheat oven to 350 degrees F. Begin by slicing the baguette. Use your discretion when deciding what to do with the end pieces. I recommend using them as snackrels. However, just about anything will work. You want to slice the baguette on the diagonal to give yourself a little bit more surface area for delicious ports. 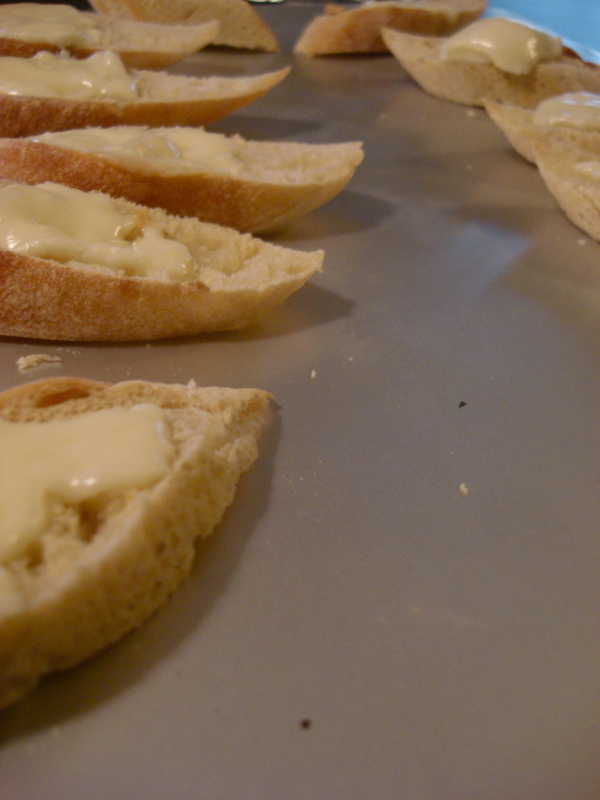 Once you slice the baguette, place the slices on a cookie sheet. 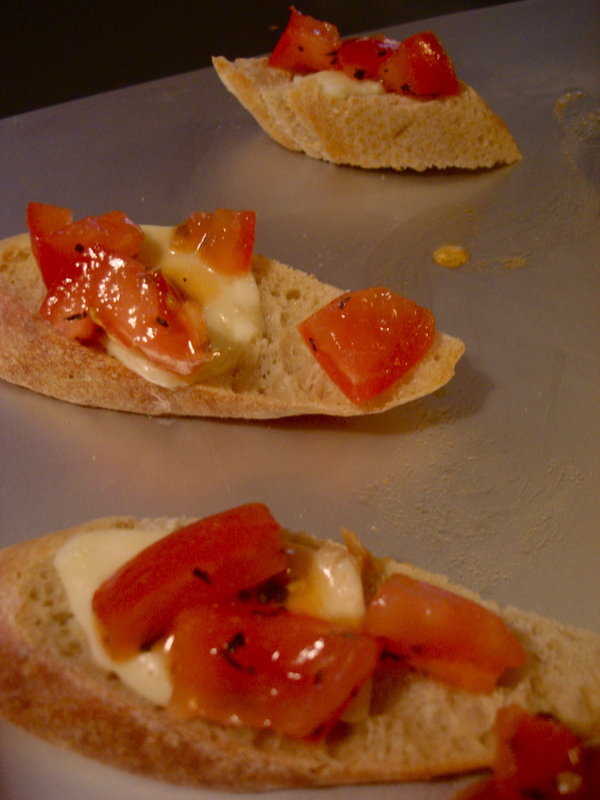 Spread minced garlic over each slice, top with sliced fresh mozzarella. 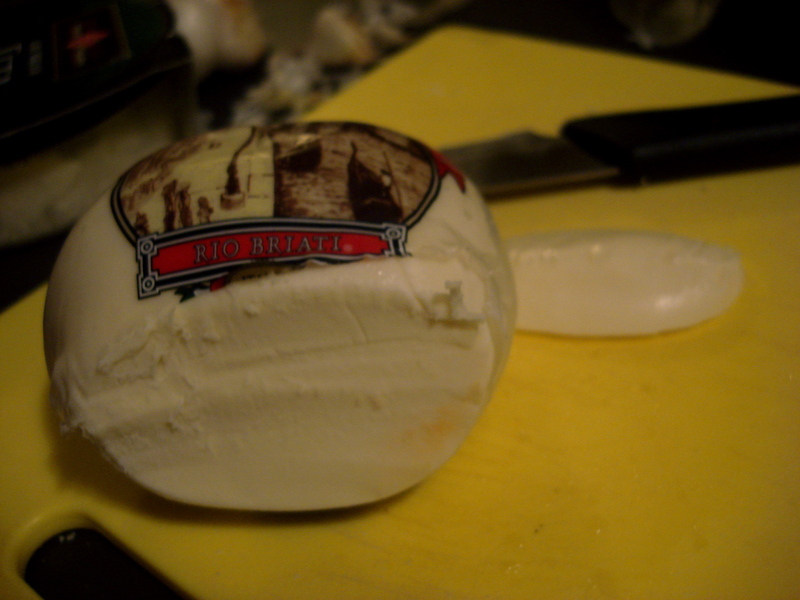 Then bake for about 7 minutes, or until cheese is melty. 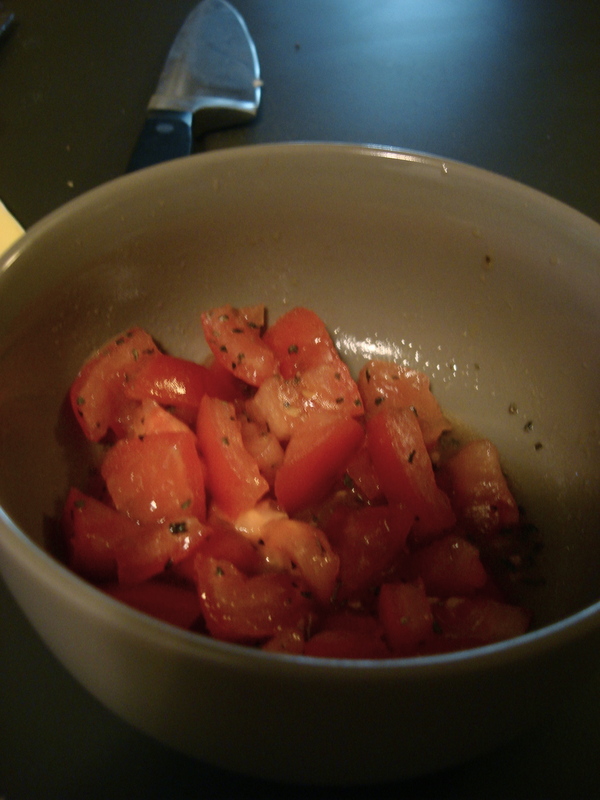 While toasting up and melting down, you can prepare the tomato mixture. Dice the tomato into little squares. Place in bowl. Pour in olive oil and balsamic vinegar. Add salt, pepper, and basil to taste. 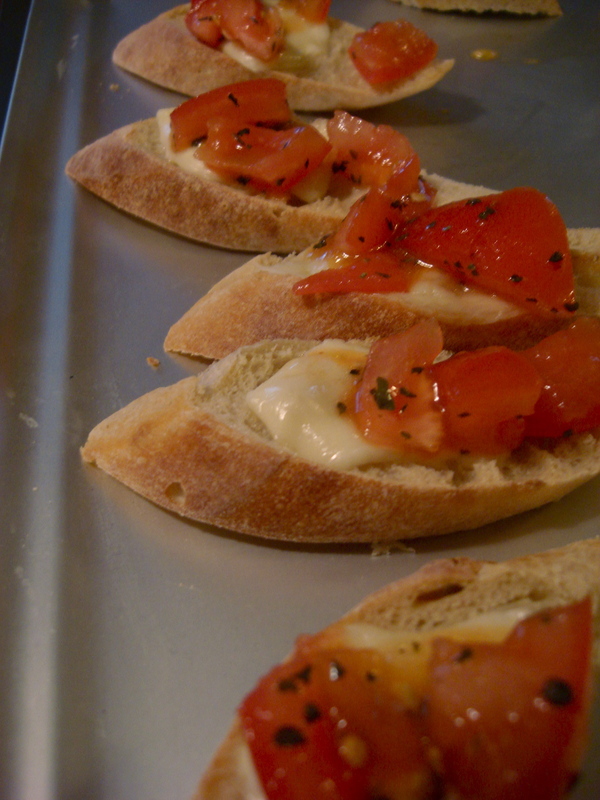 Take baguette out of the oven and top with tomato mixture, pouring a little bit of the oil and vinegar from the bowl over the bread.